Neighbourhood Plan consultation: What do you think? A draft Neighbourhood Plan map has been prepared and your views are needed on the size and extent of the plan area. We need to get a good idea of what people think, so please view the plan and have your say! 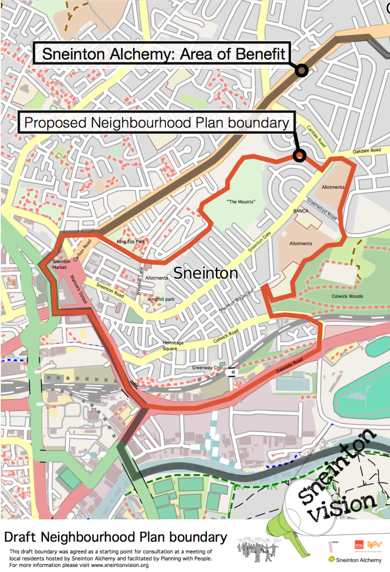 For more background on the Sneinton Vision project and how this might lead to a Neighbourhood Plan please visit the Sneinton Vision page.